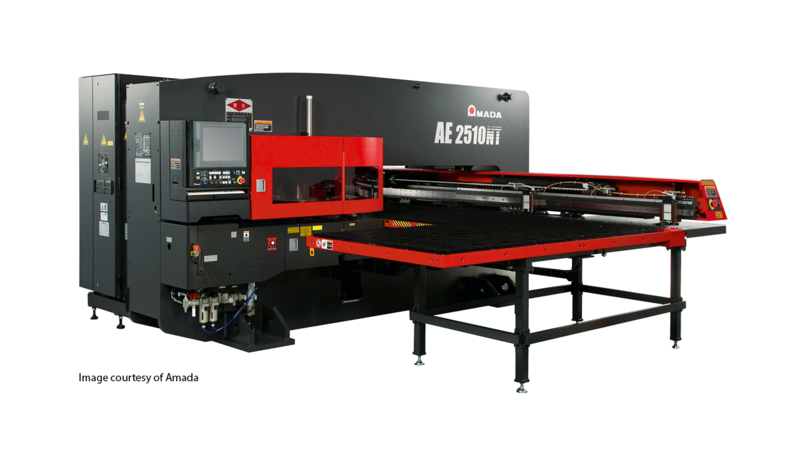 Amada's AE series of punching machines have two models, the AE-255 NT and this one. This CNC punching machine has a servo-electric drive that lowers the consumption of power by over 50% when comparing it to an equivalent machine that is hydraulic. Both machines have a great space-saving design and have a small footprint which shrinks the production area needed. Both machines also share the same drive and bridge frame. One main difference between this machine and the AE-255 NT is the working area. The consumption of power is at a low 3.5 kW, which is excellent considering the faster stroke speed that it has. Merry Mechanization's sheet metal fabrication and nesting software, SMP, are a great complement to this punch machine. The maintenance for this machine including the spare component costs are quite low because of the drive system.